The essence of camping is going on adventures you’ll remember for the rest of your life. While some trips can be relaxing and leisure-oriented, others may be sprinkled with challenging weather conditions. You are in the wilderness, after all. We’re here to help you stay safe regardless of content, through the best extreme cold weather tents of the year. Learn all about the most durable and winter-friendly tents on the market! Specifications are everything when it comes to choosing the best extreme cold weather tents. Before you start shopping, we recommend taking a glance at the measurements, fabrics, and capacity for each model we’ll review below. The first option on our list of the best extreme cold weather tents is suitable for any budget. Not only is the Coleman Hooligan 2-person tent highly affordable, but it’s also designed and manufactured by one of the most respected companies in the industry. The Hooligan 2 retails for roughly $75, but you can often get it for as little as about $43 when it’s on sale. In addition to the 2-person Hooligan (orange), you can also get the model in 3-person (gold) or 4-person (red) versions. The model has a bathtub-style floor made from 1000D polyethylene fabrics, which ensures that you won’t get any bottom leaks. Due to the bulky packed dimensions (22” x 6.5” x 7”) and 7.8-pound weight, it may not be the best choice for backpackers. Based on reviews, the Coleman Hooligan takes less than 10 minutes to set up. It’s clear that the Hooligan is the best winter tent you can get if you’re shopping on a budget. Be that as it may, you need to take extra precautions if camping in extreme weather. Considering its mesh roof (under the full-coverage rainfly) and lack of 4-season rating, we strongly recommend that you bring a tarp for covering the inner walls. In terms of sturdiness, the fiberglass center pole may not hold up in strong winds. All in all, the Coleman Hooligan is among the best extreme cold weather tents you can purchase if you’re low on cash. Even though it does have some downsides, the precautions recommended will support your budget winter camping adventure. Are you planning on taking a solo camping trip, but not backpacking? Hands down, the only extreme cold weather tent (ECWT) you’ll need is the Kodiak Canvas 8101. Extremely durable and well-made, the 1-person Kodiak tent is perfect for car or motorcycle camping on your own. At around $220-$300 on Amazon, it’s indeed expensive, but the fabrics are among the best you’ll ever come across. The huge 4.6-star average customer rating proves it. The Kodiak 8101 was clearly designed to meet the needs of the extreme cold weather camper. It measures 6’8” in length and just about 3’ in width, making it a tight yet cozy option for the solo camper. One of its major perks is the 2-inch foam mattress pad it comes with, which is covered in flannel. You even get a show mat that you can attach to the side of the tent. When packed in its storage bag, the Kodiak 8101 will be about 38 inches long. Kodiak undoubtedly outshines competition when it comes to quality. 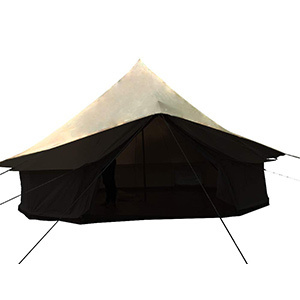 The materials used for the tent are 100% cotton duck canvas with Hydra-shield protection. Chances of rips and tears are close to none, while the super thick fabrics retain heat amazingly well. No struggles with condensation will take place either. You can easily go camping with the Kodiak 8101 in windy, rainy or snowy conditions without any worries. The Kodiak 8101 is, without a doubt, among the best extreme cold weather tents you can rely on for solo camping. It may not be the optimum choice for backpacking, but motorcycle or car campers will love it. Seasoned campers know that far too many tents don’t come with a rainfly. Extremely few come with a footprint. Seeing as both elements are essential for the best extreme cold weather tents, many customers end up purchasing the rainfly and footprint separately. 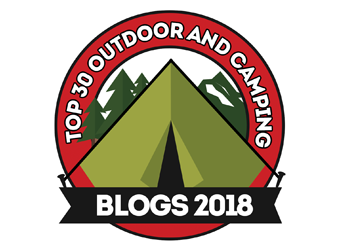 It all changes with the TETON Mountain Ultra 2 (1095), a full package tent that you can purchase for just about $135 on Amazon, where customers have given it a nice 4.4-star rating. The fact that the Mountain Ultra 2 comes with a rainfly and a 150D Oxford footprint is a relief for any camper on the go. 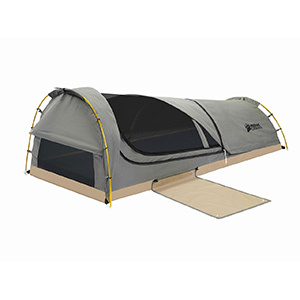 Nonetheless, it also has other design benefits, such as an incredibly roomy interior for a 2-person tent. Additionally, it features a two-door design, perfect for camping with a partner. Your first setup may take around 15-20 minutes, but you’ll reportedly be able to assemble the Mountain Ultra 2 in less than 5 minutes after that. TETON is said to provide stellar customer service, living up to their lifetime guarantee. Sadly, though, it appears that the fabrics used for the Mountain Ultra 2 are sub-par. The aluminum poles are indeed lightweight, but they may snap if you’re camping during a particularly windy day. Still, even though the tent is rated as a 3-season model, it has been successfully tested to withstand -40°F temperatures. All in all, the TETON Mountain Ultra 2 is an amazing choice if you want a spacious 2-person tent for camping when it’s cold. If you do encounter any QA issues, feel free to reach out to their friendly and prompt customer support department. When shopping for the best extreme cold weather tents, we highly suggest that you go for quality models whenever possible. We know that not everyone can afford to spend over $200 on a tent, but it will ensure that you have a safe camping trip during cold winters. Possibly the #1 winter tent in terms of quality is the ALPS Mountaineering Tasmanian 2 (5255605), available for approximately $230 on Amazon. There are pretty much no complaints at all regarding the design of the ALPS Mountaineering Tasmanian. It provides more than enough space for two people and their equipment, with a gear loft, mesh storage pockets, and extendable vestibules. For winter camping, the sealable vents guarantee that you won’t end up shivering in the middle of the night. Also, the free-standing pole system makes it easy to set up after one or two tries. Even the harshest weather conditions don’t stand a chance against the Tasmanian. The water and UV-resistant fabrics used for the model – 75D 185T polyester and poly taffeta – are top-of-the-line. As opposed to countless competitors, ALPS Mountaineering uses extremely durable poles for the Tasmanian. 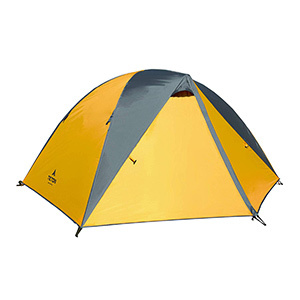 In a nutshell, the model is among the best tents you can genuinely count on for camping in the middle of winter. It may not be suitable for all budgets, but the ALPS Mountaineering Tasmanian 2 is a must-have for campers who can afford the investment. There are few other extreme winter tents that can live up to the quality the Tasmanian provides. Some of those searching for cold weather tents for sale may also be interested in using them for fair-weather camping. Nevertheless, many 4-season models don’t pack in the necessary ventilation for hot summer nights. One of the few that are genuinely versatile is the model designed by Flytop. 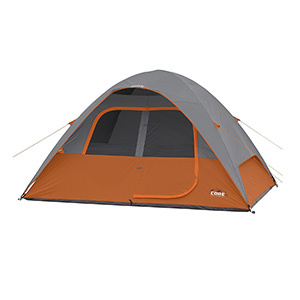 In addition to adaptability, the tent also boasts a fair Amazon price in the $80 range. Consequently, you can buy it even if you’re on a tight budget. 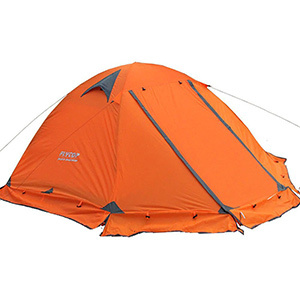 According to the manufacturers, the Flytop tent is rated as a 2-person tent. However, it may be a bit of a tight fit if you’re camping with a lot of gear. 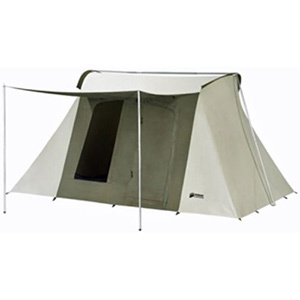 The model features double-stitched 210T polyester fabrics for the inner tent and fly, a 210D Oxford floor, and mesh wall panels. Furthermore, the rainfly stretches out in the front, meaning that you get some extra space. 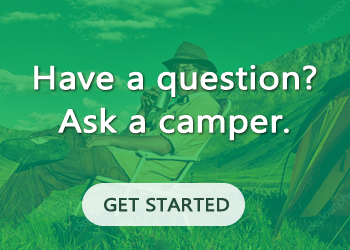 Customers claim that you can easily set it up on your own if camping solo. We would’ve loved to give the Flytop tent a 5-star review of our own, but it seems that it’s lacking in the quality department. Although the fabrics really protect the camper(s) from extreme cold weather or scorching summer days, there are several complaints of tearing. Setting that aspect to the side, the Flytop holds up brilliantly during storms, both in terms of heavy wind protection and water resistance. You should consider purchasing the Flytop model if you need one of the best extreme cold weather tents that can also work for summer camping. The quality of fabrics may be questionable, but you’re guaranteed to remain dry and safe throughout your trip. We have praised CORE for their family-sized tents in our best 6 person tent buying guide. If their instant cabin was the star in our previous article, their dome is one of the best cold weather tents family camping models. The CORE 6-person Dome (40003) tent is actually one of the top 15 best-selling Family Camping Tents on Amazon. There, you can purchase it from anywhere between about $90 and $120, based on regular discounts. The CORE Dome 6 features the company’s signature H20 Block Technology, which protects the users and contents from leaks. Suitable for 5-6 campers, the, the CORE Dome is ideal for the entire family. As a customer, you also benefit from design perks like storage pockets, a gear loft, adjustable venting, closable electrical port access, and even a lantern hook. You shouldn’t have any problems assembling the tent or taking it down in about 10 minutes. As far as quality is concerned, the CORE Dome has a few shortcomings. For instance, you may need to purchase an extra rainfly for cold-weather camping. The one the tent comes with is on the short side. Details such as zippers or the cord in the pole also seem to be of poor quality. Notwithstanding, even the most severe storms aren’t a match for the durable CORE Dome. Your family will be as warm and dry as possible. Buy the CORE Dome 6-person tent if you’re shopping around for the best extreme cold weather tents for your family. You won’t have any issues camping with your kids. Still, you may want to think about getting an extra rainfly to be safe. Where are our glamping fans? While we couldn’t find cold weather tents with stoves that would fully meet your needs, we did discover a gorgeous bell tent with a stove jacket. The DANCHEL 4-season cotton bell tent is not only great for winter camping, but it’s also amazing from an aesthetic viewpoint. The luxurious model costs almost $500 on Amazon, but it has a huge 13.12-foot diameter and a jaw-dropping design. If you’re into the cosmetic beauties of glamping, you will fall head over heels in love with the DANCHEL tent. It has a stunning bell-shaped design, with a generous 8.2-foot center height. The model comes with dozens of stakes and ropes so it can be tied down securely. Possibly its greatest design advantage is the stove jacket, which you can use for additional warmth during cold camping days. For such a large tent, it’s easy-peasy when it comes to assembly. For the overall tent, quality isn’t a problem. The 285GSM cotton used for the model is thick and highly resistant, while the 540GSM PVC floor is just as durable. The only real complaint seems to be in regards to the zippers. Nevertheless, you can oil them upon receiving the tent to prevent any jams. The DANCHEL tent is as sturdy as they come, withstanding severe winds, storms or snowfall. The DANCHEL is among the top winter camping tents with stove jackets currently available on the market. It costs a pretty penny, but it’s a long-term investment you won’t be disappointed with. Need one of the best backpacking tents to hold up in harsh weather? Look no further – the Winterial 3-person tent is the one for you. Not only is it incredibly lightweight, but it can also accommodate up to three campers at a time (or two people with gear). Even more, the Winterial model is quite affordable, with an Amazon price range of around $85-$110. 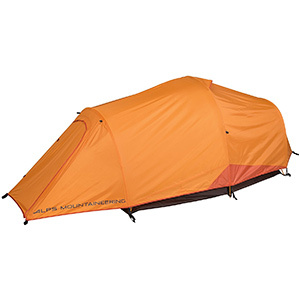 The 4.5-star average rating backs up its effectiveness as a cold-weather backpacking tent. If you’re planning on backpacking, the size and weight of a tent will be decisive. Rest assured, as the Winterial tent weighs only 4.4 pounds and packs down to 23.8 x 4.4 x 4.1 inches. Do note that, if you’re over 6 feet tall, you’ll have to sleep diagonally. Also, some users complained that the rainfly isn’t well made. On the other hand, pitching the tent is extremely easy, thanks to the intuitive 2-pole system. The Winterial model is arguably the best tent for rainy weather, seeing as it truly holds up in poor conditions. Additionally, the materials are high quality, from the fabrics to the aluminum poles. One major advantage is the quality of the stakes, especially considering that numerous tents come with flimsy ones. You might have some minor troubles with condensation, but the overall durability is outstanding. Purchase the Winterial 3-person tent if you’re on the hunt for the best extreme cold weather tents for backpacking. It’s as lightweight as they get, all while ensuring stability and durability. A common occasion for extreme cold weather camping is with boy or girl scout troops. If you’re responsible for picking a tent for scouts, the Kodiak Canvas 6044 is the cream of the crop. 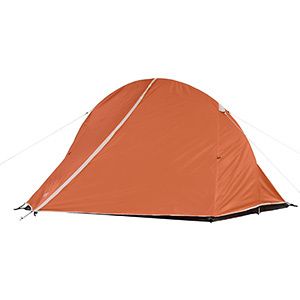 The 8-person tent is incredibly durable, with top-quality design to boot. It does cost approximately $575 on Amazon, but keep in mind that it’s a humongous tent made from some of the best materials available. Large would be an understatement when describing the Kodiak 6044. It’s obviously not suitable for backpacking, but it’s a dream come true for camping in large groups (like scout troops). The tent is made from 100% cotton duck canvas fabrics, with a reinforced vinyl polyester floor. Indeed, pitching the tent will take at least half an hour and two people, but it’s all smooth sailing after that. The quality of the Kodiak 6044 is irreproachable. Everything about the model expresses premium quality, from the ultra-thick fabrics to the #10 coil zippers or the heavily-stitched seams. The 6044 will hold up in any weather, even if you’re experiencing a snowstorm. You can also count on the tent holding up for weeks at a time without having to take it down. It may be super pricey, but the quality you benefit from is beyond words. As far as the best extreme cold weather tents for groups are in discussion, the Kodiak Canvas 6044 is the top option. 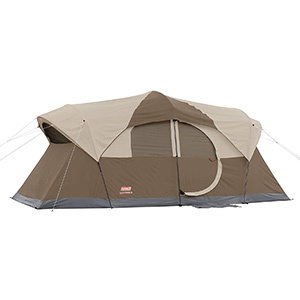 Few tents can compare to Kodiak models when it comes to quality, sturdiness and all-around durability. Not surprisingly, the #1 choice out of all the best extreme cold weather tents we reviewed is a Coleman model. The brand has left its mark on the industry for the amazing value they offer with each model, including the Coleman WeatherMaster (2000028058). It can cost anywhere from $220 to about $300 on Amazon, depending on sales. 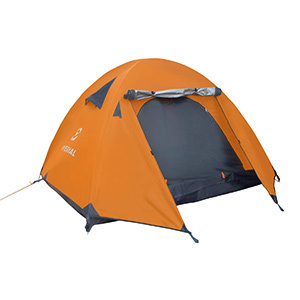 The WeatherMaster is also among the first 20 top-selling models in the Family Tents category. For our top pick of all, we genuinely wanted to find a tent that could meet the needs of most campers. As a 10-person tent, the Coleman WeatherMaster clearly won’t fit the requirements of backpackers. However, it is a prime choice for any other categories. The 75D polyester taffeta fabrics have a PU coating of 450mm, while the welded floors are made of 1000D polyethylene. It’s quite easy to set up in around 10 to 15 minutes. The WeatherMaster is accurately branded, as it truly does hold up in all weather conditions. One user even reported that his resisted a passing hurricane! Not only does the WeatherMaster protect you from rain, sleet or snow, but it also keeps you bone dry inside. To prevent any potential leaks, we recommend using a waterproofing spray. Other than that, the Coleman WeatherMaster should prove to be a spectacular value. We recommend the Coleman WeatherMaster as the best of all best extreme cold weather tents. It’s bound to be a perfect fit if you’re camping with your friends or family and are worried about the weather forecast. In summary, the best extreme cold weather tents are no longer difficult to find. 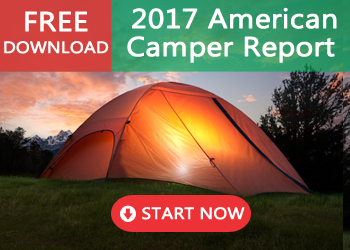 All you have to do is take your pick from the models we reviewed and enjoy your challenging camping experience. We do, however, recommend that you brush up on prepping and survival skills if you’re planning on facing extreme weather. You can also use our camping first aid kit checklist to further ensure safety. Aside from that, enjoy making unforgettable memories!